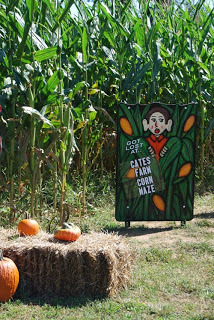 If you haven’t been out to Cate’s Farm yet this Fall, it’s not too late! The farm is full of fun things for the whole family to enjoy. 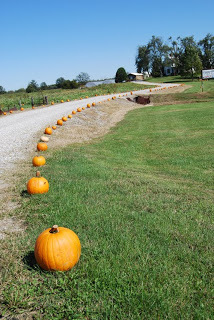 A row of pumpkins line the driveway, and there’s plenty to explore once you’ve reached the top of the hill. Enjoy old time games, such as washers and horseshoes. 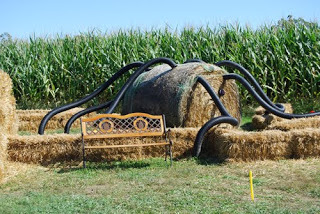 Take a walk through the corn maze, and afterward enjoy a bonfire, roasting marshmallows and keeping warm. 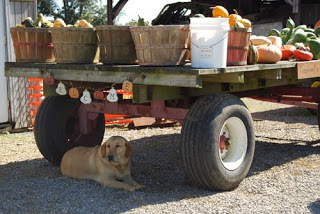 You can also learn about farming and take a hayride around the farm. 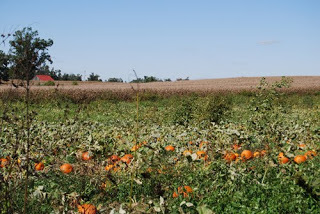 While you’re here don’t forget to pick your own pumpkins. With a patch this big, you’re sure to find the perfect one! If you’d like to plan a visit or a field trip to the farm, information is available via phone at: (270) 827-1135 or (270) 823-6150. 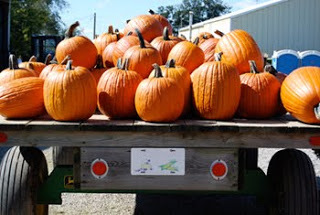 The farm is located at 8132 Pruitt Drive, off Highway 1217, 4.5 miles off 425 bypass. What a nice place for kids. My daughter's preschool and preK class went to Cates Farm. We will be taking the family back this year. Does anyone know what the cost is to go here? For adults and children? They will open this weekend! This is a great place for the family…we love it….we try to visit every year!